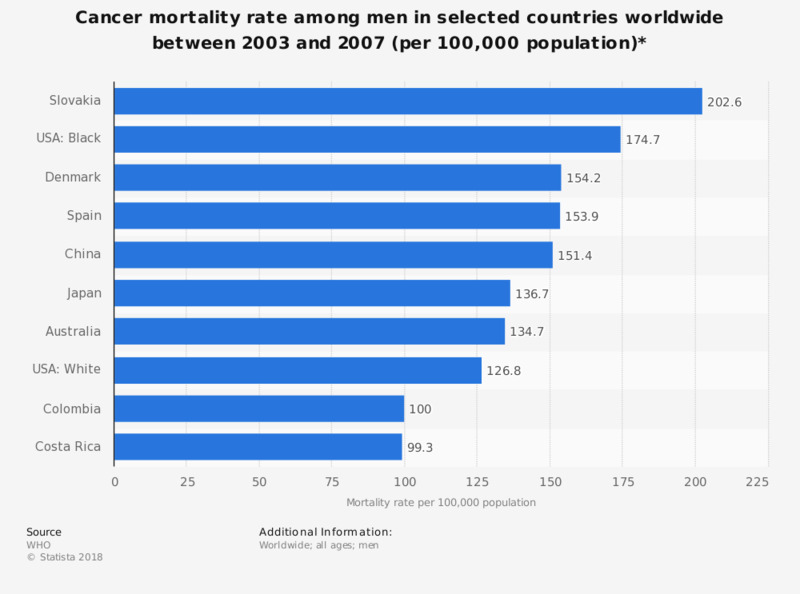 This statistic shows the cancer mortality rate among men in selected countries worldwide between 2003 and 2007, per 100,000 inhabitants. Slovakia had one of the highest mortality rates worldwide, with more than 200 male cancer deaths per 100,000 inhabitants. * Age-standardized mortality rates per 100,000. The figures exclude non-melanoma skin cancer.